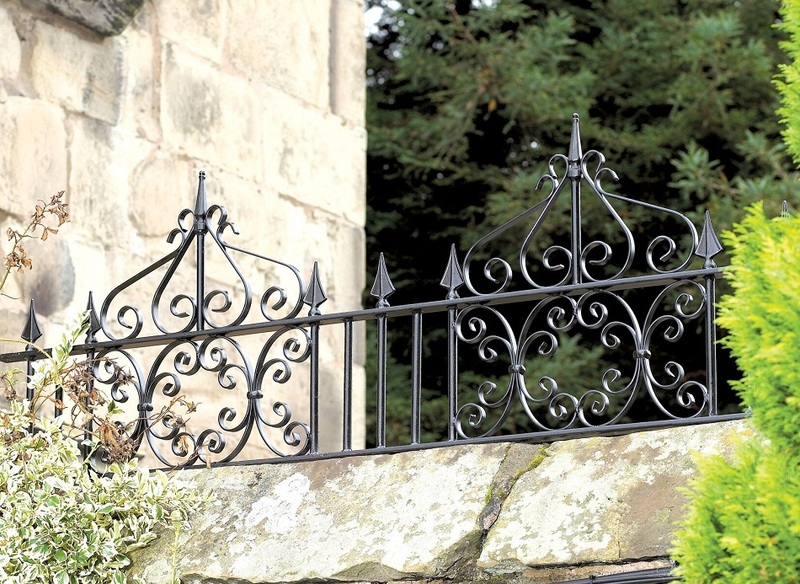 Royal Monarch railings are made with heavy duty steel components for a stunning ornate appearance. Featuring elegant crowns on the top rail and decorative panels in the main design these stunning railings are simply amazing value for money. 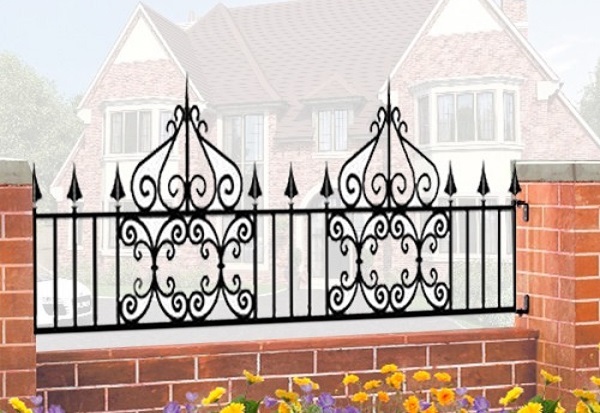 The Royal Monarch Wrought Iron Style Railings offer perhaps the most distinct appearance of all our designs and as such will make a truly wonderful feature to any outdoor location. Featuring heavy duty solid steel frames and infill bars the railings are embellished with the addition of intricate scrollwork panels, crowns attached to the top rail and spear shaped finials. Available to order in a selection of sizes they are the perfect match to our existing Royal Monarch gates and as such will allow you to create a harmonious appearance to your home and garden. Handmade in the UK to an industry leading standard. Suitable for a variety of installation locations. 40mm x 10mm solid steel frames, 16mm infill bars and 16mm x 5mm scrolls. Supplied with easy to install fixing brackets (compatible with existing masonry walls/pillars, timber or metal posts). Black primer/undercoat (all surfaces or the railing must be painted prior to installation – contact us for pre finished prices). Available in 3 standard size options (please be aware the railing design may vary from the image shown depending on the width option you select). Looking for Advice about the Royal Monarch Railings? For technical advice or if you have a question to ask please contact us by phone or email and we will be on hand to offer support. Can`t find the right size to suit your requirements? 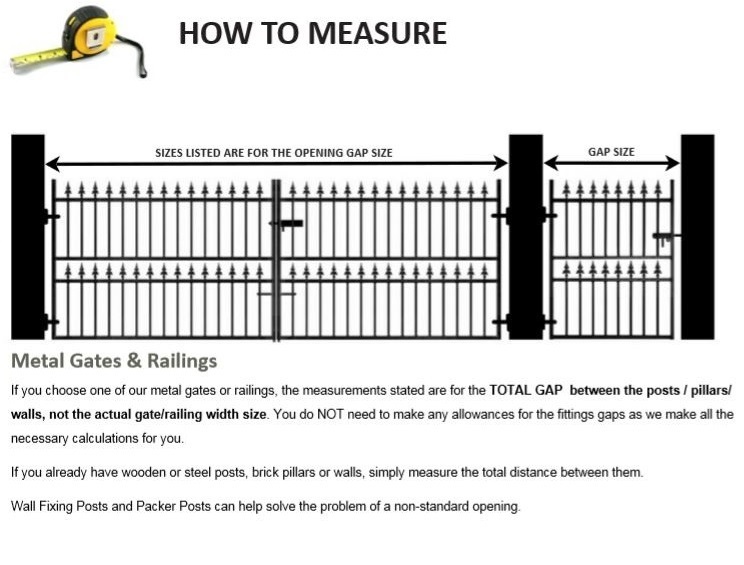 Learn more about our made to measure railings below. We have also compiled lots of useful information online so if you need help with sizes, installation or other aspect of the project we recommend you take a look through the pages detailed below. Where a number of railings are required or where not structural support is available you will need to order metal posts to complete your installation. If required we are pleased to offer you the following options. To learn more about the items shown above please get in touch by phone, email or enquiry form and a member of staff will be on hand to offer assistance.